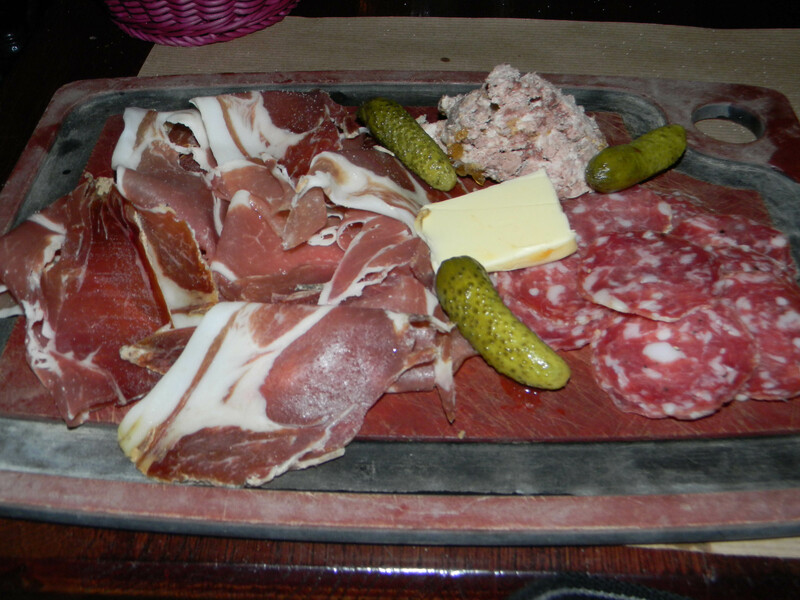 Whenever I’m in Paris, I indulge in charcuterie platters as often as I can. 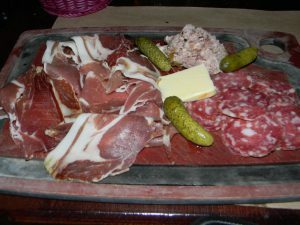 There are usually two or three kinds of cured sausages, prosciutto, maybe Serrano ham, pate, tiny sweet pickles (called cornichons), and baguette slices (of course)! Soooooo good! This entry was posted in Food and tagged charcuterie, food by Bob Adams. Bookmark the permalink.